Fur Ball Slots is bound to put you in the best mood, with cuddly characters and a tropical paradise theme. And did we mention all the FREE spins and exciting bonuses?! Good luck! 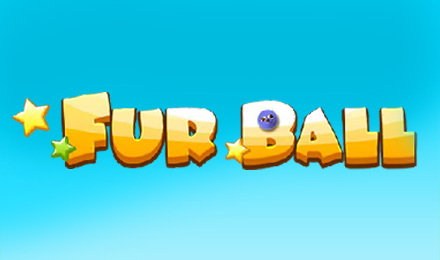 Get warm and fuzzy with Fur Ball Slots! It's set in a tropical land with wonderful exotic birds chirping and cuddly creatures walking about. The reels are full of coloured fur balls, as well as the traditional A, K, Q, J and 10 slot symbols. Watch out for the white fur ball that can show up at any time, rewarding you with extra Wilds. Spin at least 3 Scatters to get FREE spins and spin 3 or more locked up fur balls to trigger your bonus round. Help free them to win your prize. Fur Ball Slots is loads of fun and packed with loads of chances to win! Good luck!